Sennheiser deliver the best quality headphone range for DJs and the HD 215-II is another excellent addition to this range. Enjoy excellent sound with the HD 215-II from Sennheiser. The HD 215-II has both outstanding sound characteristics and excellent attenuation of ambient noise. 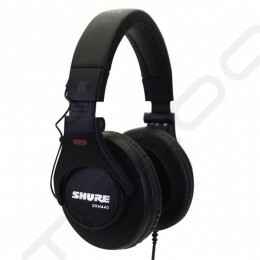 These fantastic headphones featuring spatial sound image and outstanding wearing comfort makes them the ideal choice for long listening sessions. 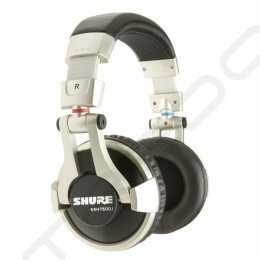 Featuring a rotatable ear cup for one-ear listening as well as the single-sided (detachable) coiled cable makes them a professional companion for such uses as monitoring headphones for recording purposes due to their enclosed design and with excellent bass response for both DJ and music production. These extremely rugged headphones have a secure fit with comfortable headband and ear pads makes them ideal for extended listening. The Sennheiser HD 215-II comes with a convenient protective pouch for easy storage and transportation. A 3.5/6.3mm (¼”) gold plated (Foto) stereo jack plug adaptor is included in the box. Enjoy peace of mind thanks to the 2-year international warranty, remembering Sennheiser deliver the best possible sound experience!